This is the 23rd mark in my Stone Skin Press Gods, Memes and Monsters anthology "Quick-Hit-a-Thon." 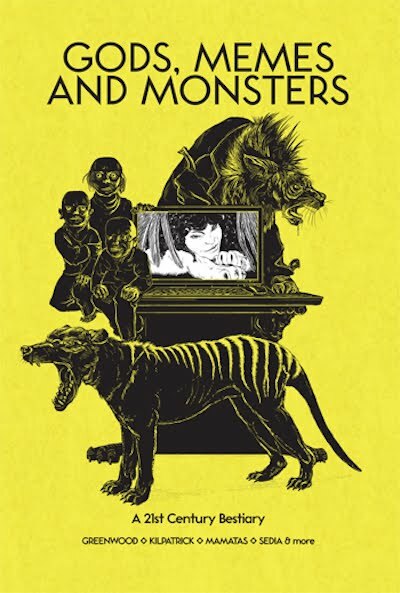 This post is about a monster you may have been introduced to via the celluloid screen: "Godisaurus" by eclectic BC novelist/poet/editor/critic/teacher Dennis E. Bolen. Belen's entry begins with "Large reptilian anomaly; green,"